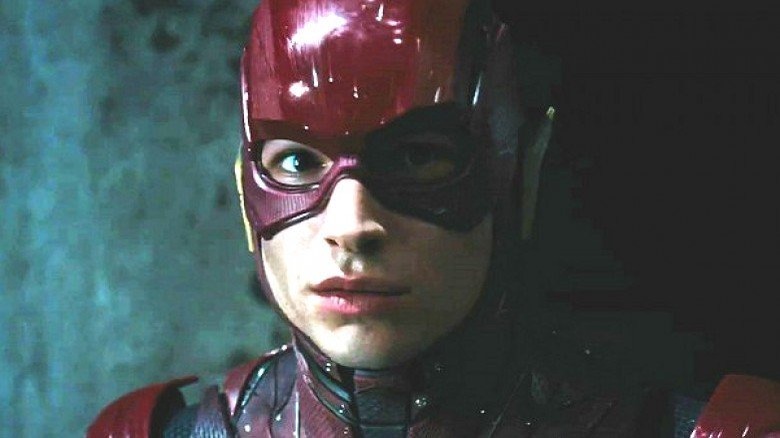 Ezra Miller hasn't read the script for his planned Flashpoint movie yet, but he promises that it looks "more promising and more exciting" than any of the past iterations of the movie to date. The Justice League star talked about the long delayed project in a recent interview with Entertainment Weekly, giving a brief tease of how it will adapt the famous Geoff Johns comic book storyline. Johns' comic book Flashpoint storyline featured Barry Allen running back in time to prevent the death of his mother, something which has huge effects on the world. It's unclear if the movie will go down the same route as the comics, but there, Barry's actions led to some pretty awful fates for the rest of the Justice League. "What fans understand when they hear Flashpoint would be almost like hearing a word like 'crisis,'" he said. "We start to understand that our precious DC universe will inevitably be torn asunder to an endless, headache-inducing fabric of multiversality. The DC Hyper-Extended Multiverse, as I plan to call it. Quote me!" This wouldn't be the first time that Flashpoint was adapted for the screen. The storyline was used for season three of The CW's The Flash, and also appeared in the animated movie The Flashpoint Paradox. However, Johns says Miller's take would be able to play with a lot more. "There's elements in it that we're going to be playing into that we couldn't do anywhere else," he said. "The scale of it, the Batman story of it all." Johns bringing up Batman is an interesting comment, as Flashpoint could be the primary way to pull Ben Affleck's Batman out of the DCEU. Although Affleck has repeatedly denied rumors that he wants out of the part of Bruce Wayne, he's still been dogged by reports saying that he will be transitioned out of the part ahead of the upcoming solo flick The Batman. Flashpoint could be a way to recast certain roles, should DC decide to go down that route. It could be some time before Flashpoint really gets off the ground, though. The movie has lost its two previous directors, and although a rumored shortlist dropped over the summer, nothing official has come of it thus far. Rumor has it that whether or not the movie moves forward could have to do with the success of Justice League, which debuts today (Nov. 17). Although there have been a lot of issues, Miller seems to think that the project is finally starting to get on track. "The development of the project has been a little Barry Allen-like in its mercurial tendencies," he said. "But it looks more promising and more exciting than any of the other stages of development that we've been in."